Today’s the one month mark! I have officially completed my month-long vegan experiment…and I think the diet changes are largely going to stick. I feel great in the past month, am totally energized, and I no longer have cravings for cheese-laden foods that weight my stomach down. Although I think I might indulge in the occasional dairy in the form of a high quality pizza, cheese will not be reincorporated into my diet as a staple. For the most part I also don’t see myself going back to buying milk, so the almond milk is also going to be a permanent change for me. For the occasions that I do indulge in a bit of cheese, I will switch to buying the bit pricier organic cheese – I really can’t go back to supporting the mass production dairy industry after what I’ve learned during my research during this month of veganism. 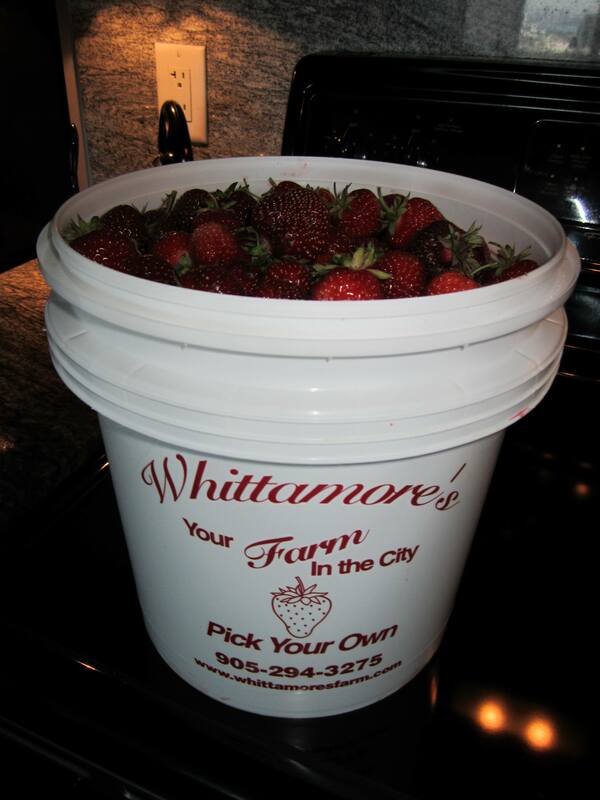 So, to celebrate these changes and making it to my one month mark, I went to Whittamore Farms (Markham, Ontario) to pick strawberries! Also an excellent way to kick off a Canada Day celebration in my opinion. This year the pick was even better than last year, and my friends and I had no trouble quickly filling up our buckets. 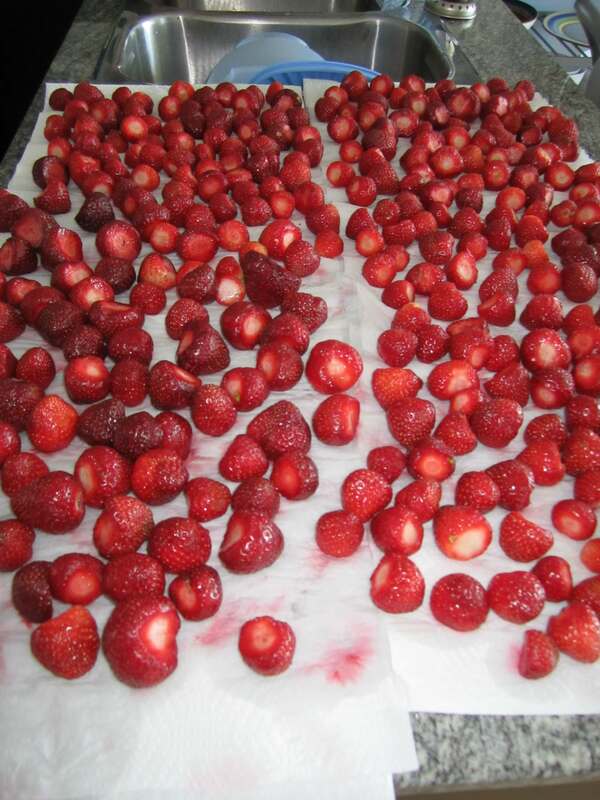 I’m often asked if I really need the 14lbs of strawberries…and the answer is yes! I’ll keep some in the fridge to enjoy during the next week, turn some into a strawberry pie later today, and the rest I will freeze. Fresh strawberry sauce with pancakes in the dead of winter is such a treat! 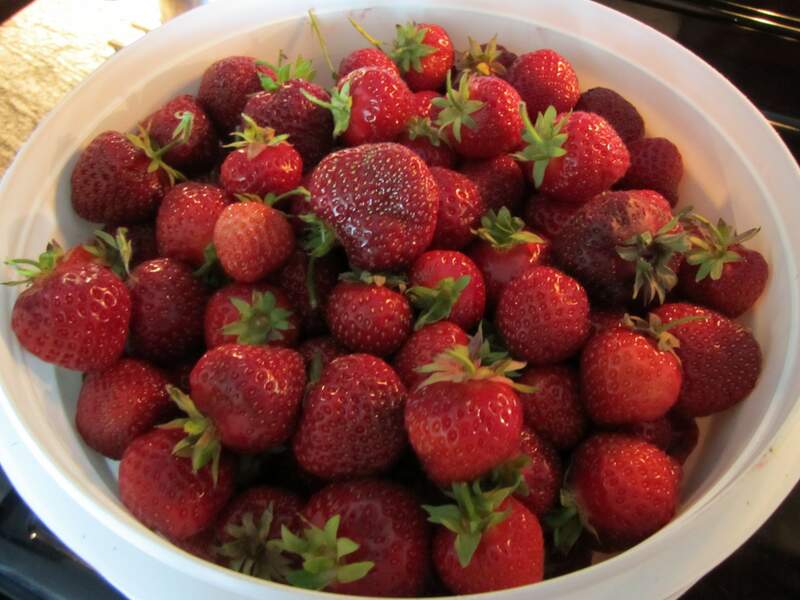 I can’t emphasize how much better these local Ontario berries taste compared to the ones you buy at a grocery store. They’re packed with natural flavour and sweetness, and once frozen they are perfect for flavour-packed smoothies or baked goods all year round!